Ford Philippines’ most valuable model is still the Ranger. 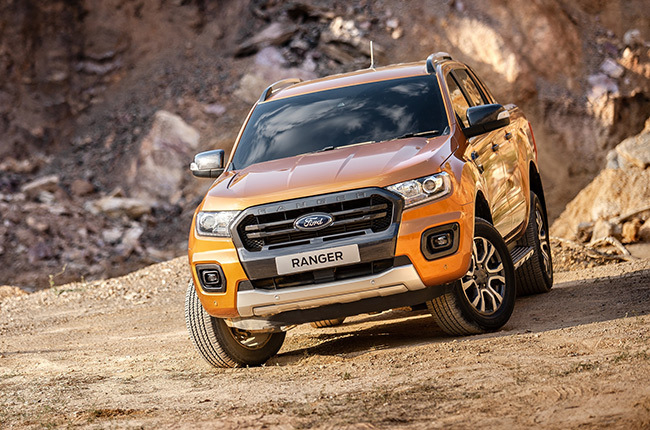 It just keeps getting better and better for the Ford Ranger as it was able to lead the first-quarter (Q1) 2019 sales of Ford Philippines once again. The blue oval brand reported a retail sales of 5,560 units for the whole Q1. For everyone’s information, 3,142 of the total sales belong to the Ranger, which rose 25% this year compared to the same quarter of the previous year. March alone bragged 1,137 units sold, a 21% increase on a year-on-year basis. As a review, Ford Philippines launched the new Ranger lineup in September last year, along with the 2019 Ranger Raptor performance pickup truck. The new iteration features minor exterior updates – specifically the grille and front bumper. Apart from the new look, the 2019 Ranger also brought in a new engine and transmission alongside it, the 2.0 single-turbo and Biturbo engine and a 10-speed automatic gearbox. Of course, there’s still the Duratorq engine for the low-end variants. The second top-selling variant after the Ranger is the Everest midsize SUV, which was able to score 1,645 sales. The EcoSport crossover, on the other hand, sold 533 units for Q1. Oh, by the way, do you know that there is a Black Edition for the EcoSport available right now? Yes, and it’s only limited to 20 units so you check it out as soon as possible if you want an EcoSport that stands out.